Looking to improve your day-to-day use of HubSpot? 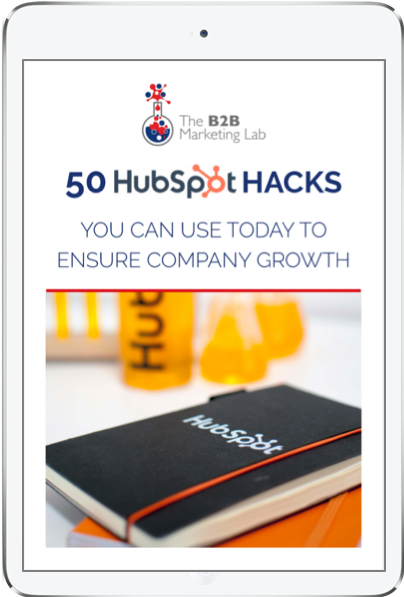 This eBook is filled with 50 HubSpot hacks to make you much more efficient. If certain tasks involving HubSpot take up a lot of your time, then this eBook is a must! Start being more efficient with HubSpot now - so that your business can grow quicker and smarter. Our '50 HubSpot Hacks' download takes a look at 50 ways you could use HubSpot in the most efficient way. It uncovers features you might not be using that HubSpot offers - and explains the best ways you can use them. Gain access to 50 awesome HubSpot hacks you can apply to improve your use of the tool. Understand what features you might not be using but should be!